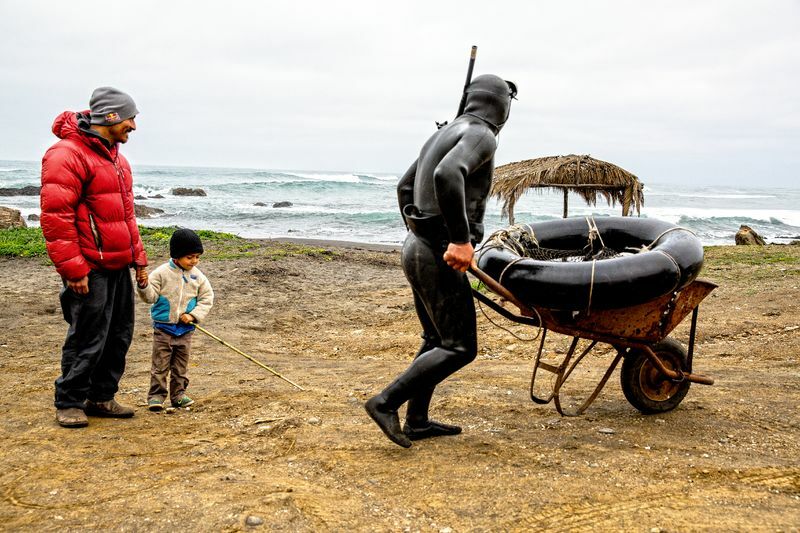 Ramon Navarro, a third-generation subsistence fisherman and farmer who lives on the coast of Chile at Punta Lobos, learned to surf on a broken surfboard left by a visiting surfer. Since then he has become one of the top-ten big wave riders. He has used his surfing accomplishments to protect his home beaches and he is admired around the world as an environmental activist. He fights resort development on the point, the building of pulp mills on the coast and sewage pipes that pollute the ocean off Pichilemu, Chile.